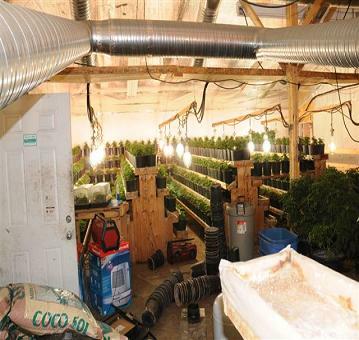 A commercial marijuana grow operation housing more than $2 million worth of pot has been dismantled near 100 Mile House. Mounties raided a rural property near Abel Lake at 105 Mile House on Tuesday and seized the marijuana, which police estimate had a street value of $2.7 million, said RCMP spokesman Cpl. Dan Moskaluk in a release. Also seized was about $1 million worth of property, including four trucks, a backhoe and two large commercial diesel generators on triple-axle trailers. Three men, two from the Lower Mainland and one from Vancouver Island, were arrested at the scene and are facing charges for drug production. Wasn't there a new Hells Angels clubhouse in 100 Mile House? I know the area generally, used to do forestry work there.